The principle of ARC underlies the application of all other Scientology data. Further study of these writings and lectures of L. Ron Hubbard is highly recommended for anyone wishing a fuller grasp and ability to apply Scientology to his life. 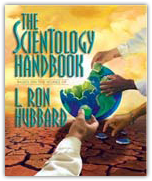 Covers many essential principles, giving a complete description of Scientology’s most fundamental ideas. Exact, succinct presentations of how life operates. Augments data from pages in this site by supplying a foundation for all further studies in Scientology. A “how to” course delivered in Scientology organizations which can bring immediate improvement in a person’s relationships. Teaches several important Scientology basics, fully illustrated with stress on application. Can be completed in a few evenings’ study. There are nearly 3,000 lectures by L. Ron Hubbard on Scientology. Those which provide introductory Scientology materials form this series, and the hour-long lectures listed here are recommended for additional study about ARC. Amplifies the data given on the ARC triangle and explains in detail, with many entertaining and thoughtful examples, how ARC can be used to resolve problems and improve personal relationships. Explains man’s attempts to find truth and the traps and half-truths he has fallen into along the way. Attainment of truth is a road everyone is aware of and Mr. Hubbard tells how it can be traveled. Some people are more interested in life than others, and generally have more fulfilling lives as a result. Discusses how being a knowing part of and participant in any and all the activities of life is a key to happiness.